For many, buying a car is a trivial, often banal experience. You go to a dealership, get hounded by salespeople with a mortgage to pay, and pick from a selection of various models, trims, and packages under conditions best described as coercive. You wait for the bank to approve the loan terms, sign the dozens of documents needed to complete the sale and absolve the dealership of any responsibility once you drive off the lot, and you’re on your way home, satisfied with your eight-year loan and quickly depreciating vehicle. That’s the typical car-buying experience in America. If you have the cash for something a bit more exclusive, like the Chevrolet Corvette, you can opt for a unique car-buying experience. Since September 1995, the National Corvette Museum and Chevrolet have offered the R8C option, which gives customers that unique car-buying extravaganza. On December 20, the NCM will make its 12,000th Chevrolet Corvette delivery to Gary and Diane Thompson from California, who will arrive at the museum in Bowling Green, Kentucky, across from the Corvette factory. The Thompsons are pickup up a 2019 Chevrolet Corvette Grand Sport Coupe in Elkhart Lake Blue. 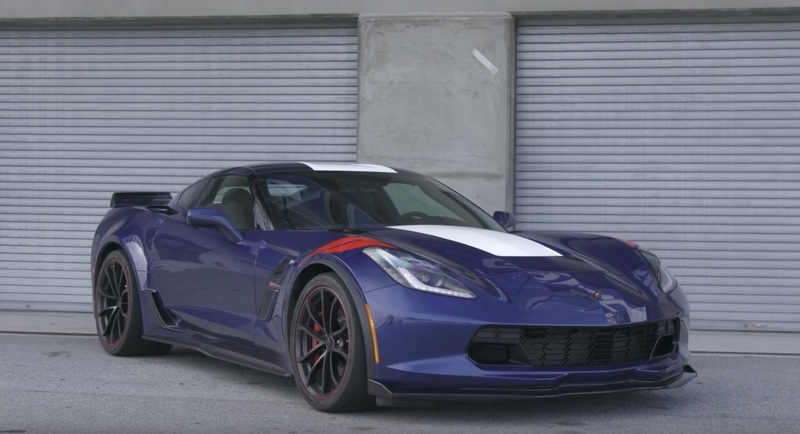 According to CorvetteBlogger, Gary has wanted a Corvette since he was eight years old, which makes the 12,000th delivery extra special for the Thompsons. The R8C option will give Thompson and family a VIP guided tour of the museum with their new Corvette on display inside the National Corvette Museum. Signs commemorating the event will be displayed throughout the museum. After the tour and Thompson’s take delivery, the NCM Delivery Team will give Gary and Diana a Corvette orientation, showing them the unique features of their new car. During the orientation, the vehicle will receive a gold R8C decal on the inside driver’s door jamb. But that’s not all. The Thompsons receive a one-year membership to the museum and a travel kit. After the car is pulled out the museum and all the pictures are taken out front, Gary will get to take a few touring laps of the NCM Motorsports Park. This package is supposed to include a tour of General Motors‘ Bowling Green Assembly Plant where the company builds the Chevrolet Corvette; however, the public tours are temporarily closed. The Thompsons will receive a raincheck for that portion of the experience.